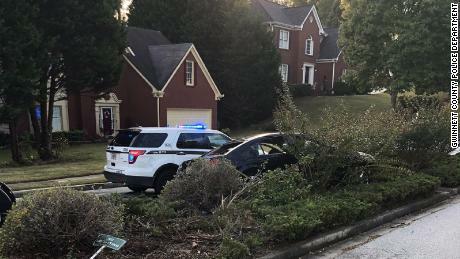 Mayan Maynard, 18, was charged with serious assault and crime over murder of Gwinnett County officer Antwan Toney on Saturday, district police said. Maynard is still at large. A second suspect, Isaiah Pretlow, 19, was arrested Saturday and charged with grievous bodily harm, police said. Toney, 30, responded to an anonymous emergency call with the announcement of a suspicious vehicle He was parked near Shiloh Middle School on Saturday afternoon when he was killed, police chief Butch Ayers said. The policeman approached the car when Maynard fired a gun from the vehicle and hit him. Police have not published any details about Tony's injuries and did not say so someone was hit in the car of the suspects or how many shots were fired. After shooting, the suspect's four-door black sedan raced away, falling about a mile away and the suspects fled the vehicle. The police believe Pretlow was driving the car and that there were up to four people in it. "They fled the scene and rushed into the chase without an officer," Smith said. At some point after running away from the car, Pretlow aimed a gun at an officer, and the policeman fired his gun at him, police said. Pretlow, who was not injured, faces a serious injury. He ran into a forest area but was arrested by US Marshals hours later, police said. The police presence was strong on Saturday night in the neighborhood a few miles east of Stone Mountain as officers, SWAT and K9 teams searched for Maynard. A helicopter also saw flying over the vicinity of middle school. Officer was "a happy person"
Toney, originally from Southern California, had been in the department for almost three years. Before he was an officer, he was a security guard, police said. 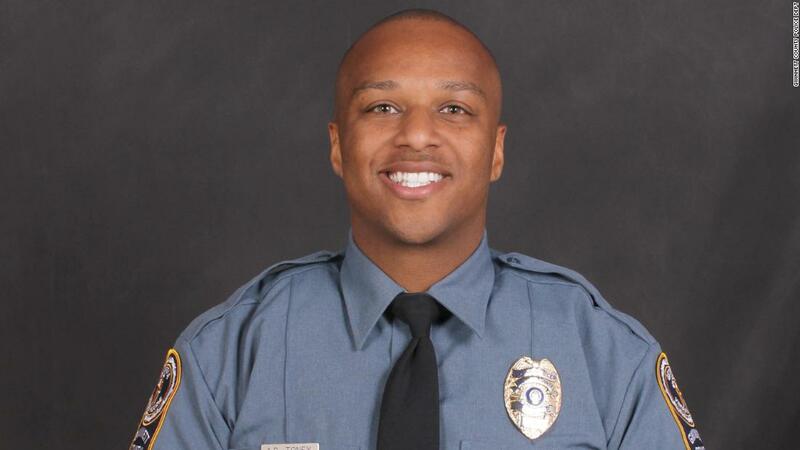 His Gwinnett counterparts "remember a very cheerful person who was dedicated to his profession and dedicated to him community," said Police Chief Butch Ayers. Gwinnett County is located in the Atlanta metropolitan area and has 920,000 inhabitants. Toney's killing is the county's first death since May 1993, when an officer was killed in a traffic accident. Three officers were shot dead in April 1964. Toney's death was the second lethal shooting of a law enforcement officer this week. North Carolina State Trooper Kevin K. Conner was killed Wednesday at a traffic stop near the South Carolina border. A suspect was taken into custody. CNN's Deanna Hackney, Keith Allen, Phil Gast and Steve Almasy have contributed to this report.